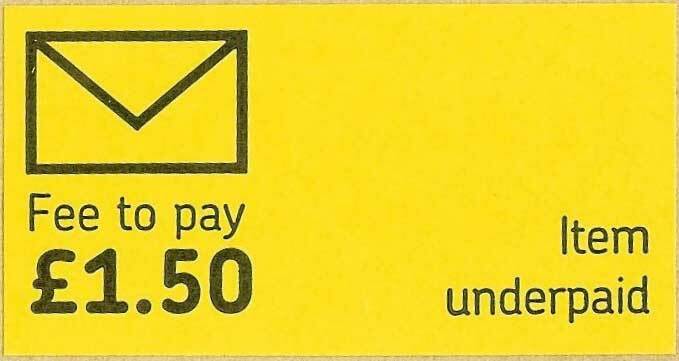 The process for collection and release of underpaid mail is that RM send the addressee an official card, see front view and see verso view, advising of the fee to be paid and how to pay. 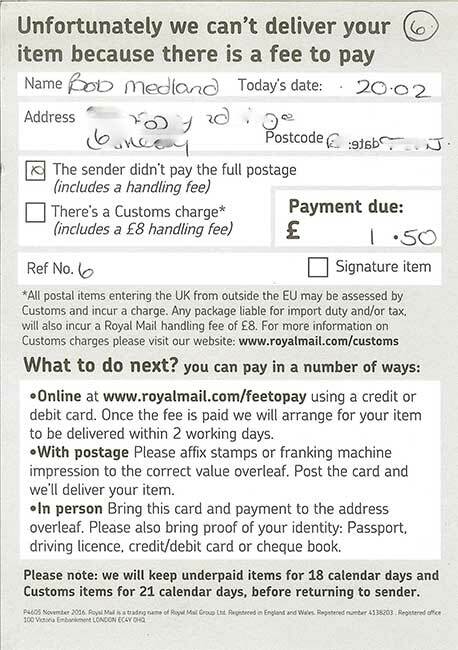 There are three options: (a) payment online; (b) by affixing stamps to the card and posting it back to the delivery office; or (c) payment in person at the delivery office. 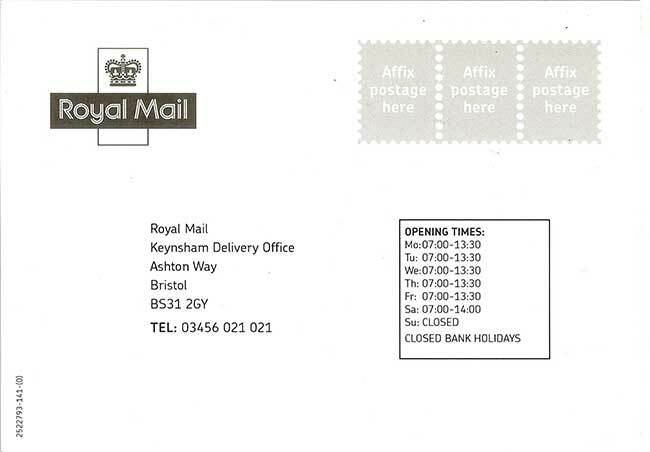 For postage due postal historians, option (a) is the obvious one to take as it allows retention of the ‘grey card’ for philatelic posterity. Given this state-of-the-art system for handling postage due fees, the process is a neat combination of ancient and modern. 539 pages, 270 full colour illustrations: hard bound with dust jacket, £90 plus p&p. Published by the BPA Expertising Educational Charity. Members of PDMSG purchasing the book may claim a reduction of £5 from their 2016 PDMSG subscription. Please say that you are a member when ordering. Bob Medland has now acquired a copy, thanks to a contact through the website. So as they say, 'It Pays to Advertise' and you are welcome to put your wants here.